Hi Beauties! I know you are probably wondering why this post is about a mens fragrance but it's my favourite smell (ever.) so I thought I'd share it all with you. I've also noticed through talking to various people that it's actually quite common for women to wear mens fragrance if they like the smell. I was slightly worried about posting this as I realise that it's a bit weird for me to wear something designed for men so I'd love to know if any of you do this...or am I the only one? It's no secret that I used to be a huge Abercrombie junkie, even when it wasn't that well known in the UK and I think a huge part of that was to do with the smell of the shop (and of course those models!). 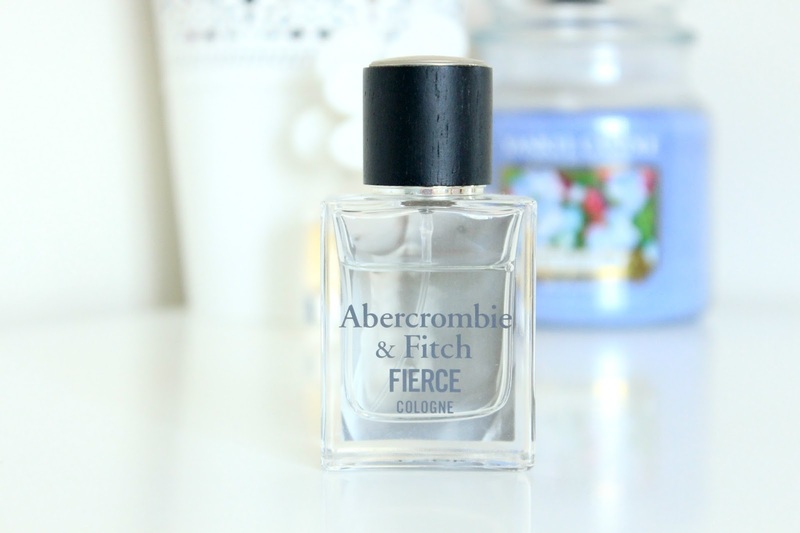 Fierce is the signature smell of Abercrombie and it's what they put through the air vents to make the shops smell so delicious. The scent contains citrus, musk and comes across as quite woody but I've never smelt anything similar. What are your favourite fragrances? I love all things fresh and fruity! I used to wear this too! And so did my mum haha, I remember we bought it in America before A&F came to the Uk and all my friends thought I was so weird wearing men's fragrance! It smells gorgeous though, and I don't think it's too masculine for a woman to wear. You've made me want to repurchase! I love the smell of this but i'ts slightly marred by being what my brother wears! Have you had an opportunity to smell the Bath and Body Works Mahoganny teakwood candle which smells identical. I remember my first trip to the US when Abercrombie wasn't as well known and my friends and I waited outside the store in NY which was not on Fifth Ave etc like it is now and had to wait for an hour for it to open so we could buy ourselves and our brothers t-shirts and aftershaves! No I haven't, but I'm going to the US soon so I will have to have a smell - thank you! I absolutely LOVE this cologne! !